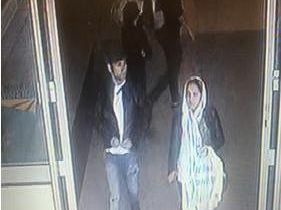 British Transport Police have released these images of suspects thought to have stolen suitcases, phones and purses from trains and stations on the Yorkshire rail network. The incidents include luggage taken from East Coast Main Line trains and thefts from cafes and station concourses during 2018. BTP's Operation Countryside targets trains and stations on the London to Edinburgh route. If you recognise anyone in the images, text your information 61016 or call 0800 40 50 40 quoting Operation Countryside.